Yeah, I'm a little happier with the V36 now. I wonder when exactly the V36 GT-R will start to come into the country...I know of a small number of people (2) that actually have one prebought. I just joined. I had seen a cartoon/anime of a Z racing some other car at night (on a Z car forum) and loved it then I did al little searching and found this site. I have loved Z cars for 25 years and always wanted a black 240 Z. 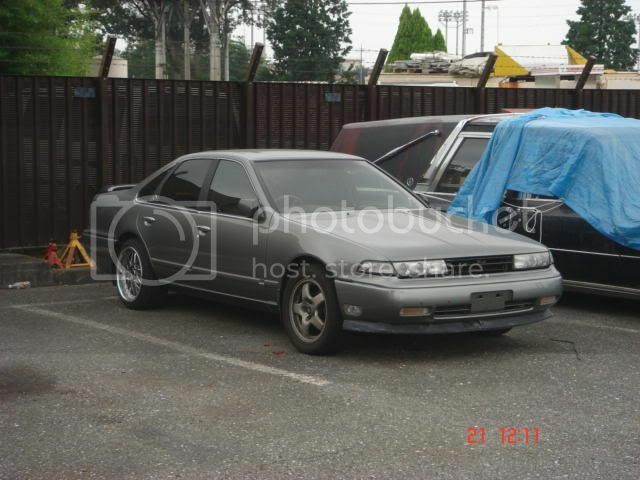 16 years ago I was (22) I found it, A blue one, I painted it black and did a minor restoration, I put a 75 280 motor in it (N42 head) with a ZX 5 speed then Koni Struts, swaybars, HKS flywheel, 16 inch Rikens, and Wilwood brakes It probably made close to 200 crank HP. I drove the car for 4 years, it had some electrical problems so I put it in storage for a while, a while turned into 10 years and in 2004 I came across the perfect reason to get it our of storage. I found a straight 6 7MGTE (Turbo Supra Motor) The engine and trans are way beefier than the Z 2.8 liter and the EFI is perfectly suited to easily double the HP or more, the transmissions are good for more than 700 HP and the head is a DOHC with an intercooler. I decided to go crazy with the motor before I got it running. I put a huge turbo on it bigger injectors, a huge intercooler and 3 inch exhaust and intercooler plumbing everything before the turbo is 4 inch dia. Installed a tail wastegate and a Greddy blow off valve. Also I installed water methanol injection so I wouldnt have to run race gas. This set up is good for 32 psi on pump gas and makes well over 600 rear wheel hp probably over 700 crank horsepower. I have to turn the boost down for auto cross events. This car is like a video game in real life. Vipers (any gen), C6 ZO6's, GSXR1000's, Ducati999r's Mustang's, Supras, of any type or mod are just a few of the vehicles my car has laid waste to. Before you doubt me realize this car weighs 2500lbs and has around 600 RWHP and very sticky tires, my rears only last about 9 months of weekend driving. I love my car and it has been a ton of work and trouble but its worth it every time I take someone for a first drive, I get everything from menaical laughter, to utter silence, some dont even comment. Its only days later that a friend of theirs calls me to tell me that they were literally scared to be in my car. Boy that makes me smile. Hope the photos make you smile. MOD, please let me know if thats too many photos and I will edit the post. Is that what I think it is ? 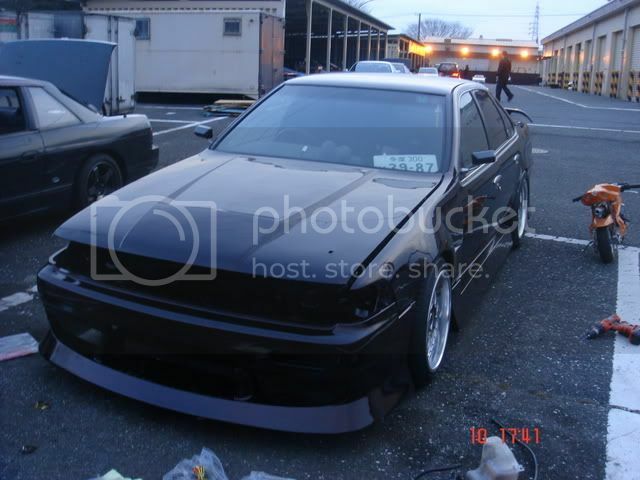 Someone built there own wangan beast ? Wow nice car man. It's interesting seeing a toyota motor that isn't a jz. What sort of efi controller are you using? What sort of efi controller are you using? Its the stock Toyota ECU with some tricks to make it supply enough fuel to produce crazy HP numbers. Looks like lex afm and big inj? Maybe an afc or something? This is interesting to me because I build toyotas for a living. Blowing up stock twins sounds like fun ! Just drop in a RB25 you'll be much happier in the long run. Don't get me wrong you can still find old school tunning parts for the L28. But it's a very much outdated motor mostly do to it's under developed head. I own a '73 S30 with an L-28, 5-speed and a few other goodies in it. I've had a 240 for the last 15 years and can't imagine not having one either running or waiting to be made to run. If you're interested in what the Devil Z is running here's about the best description I've been able to chase down thanks to Dorifto on HybridZ.org. Nissan/Borg Warner T5 5-speed, non-"World Class"
RB26 is god but HYBRID RB30 is better :). I just received a report from cpt jack via EMail, here's the content. You have been sent this email from cpt jack via the "Report this post to a moderator" link. Topic: What does everyone drive ? The Wangan Midnight Expressway Forums team. cpt jack seemed to want to reply Blackbob, but mistakenly pressed the REPORT button thinking it was the QUOTE button. I don't know how he mix those two up but this seems to be the case. 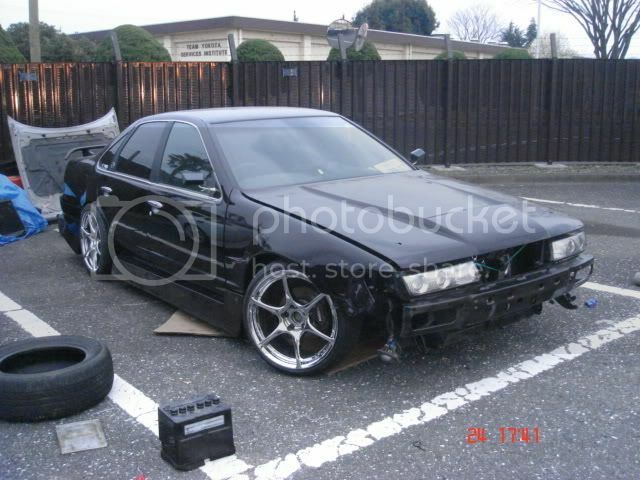 now has too much to list and im broke haha... almost done just waiting for paychecks..
Anyways, nice Cefiro. GL with finishing it. Is that a pocketbike I see in one of those pics! Nice! Your doing 600WHP? Thats murder!